That whole Dota 2 Compendium thingymabob was a bit of a success wasn’t it? It certainly generated a substantial prize pool for the International. Now Smite developer Hi-Rez are doing something similar with The Odyssey. It’s a program for the Smite World Championships, where new items will be put up for sale, special Odyssey items, and each purchase will add more to the Championship prize pool. Will any of these items turn enemies into pigs? Allow players to disguise themselves as beggars? Probably not. There’s also a patch this week, and that means the roster of gods gets one deity larger. It’s a Mayan god this time, one Mr. Cabrakan, who likes destroying mountains and lifting weights. He’s a bit arrogant and aggressive, but his dad was a bird, which must be tough. It sounds like he’ll be a support god, with healing abilities and crowd control powers. 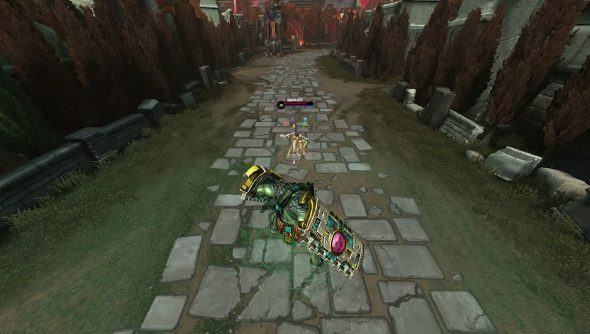 If you’re new to this whole god-fighting thing, take a look at our Smite beginner’s guide.